Many industrial hoses cannot be used in hydraulic systems because they lack the necessary strength, durability, and oil-resistance. The refining, petrochemical, and automotive industries need hoses that can stand up to high amounts of pressure and maintain strength at a wide range of temperatures. Wire spiral hoses offer the added strength these industries require. Many industrial systems require hydraulic oil hoses that won’t degrade from regular contact with petrochemical products. Regardless of temperature, pressure, or contact with petroleum products, these hoses will stay strong, flexible, and reliable. 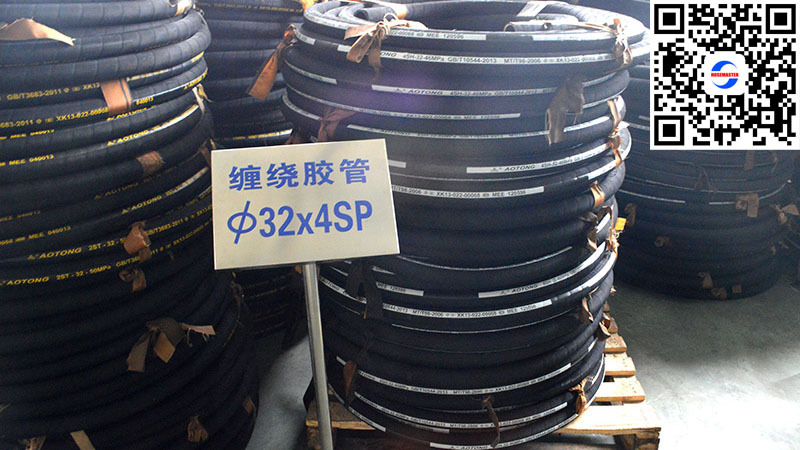 Steel Wire Spiral Hydraulic Hose usually consists of three parts including seamless oil resistant neoprene rubber tube, spiral plies of high tensile steel wire, and synthetic rubber which has oil, abrasion and weather resistance. The temperature range is -40°C to +121°C (-40° to 250°F). The tube is black and oil resistant synthetic rubber. 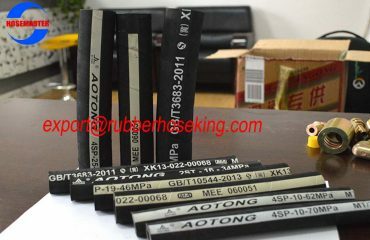 The reinforcement layer consists of four layers of spirally wrapped high tensile steel wire that separated by synthetic rubber fabric layer. The cover is synthetic rubber. It is weather, oil, fuel, ozone and abrasion-resistant. With extraordinary flexibility, excellent bend radius properties and exceptional impulse life, it can be used in petroleum-based hydraulic fluids of very high pressure and tight bends. It can withstand the temperature of +125°C. 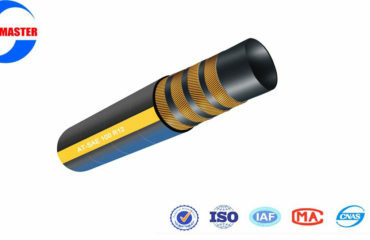 Four Spiral Wire Hydraulic Hose is an extremely flexible hose designed to operate at high working pressures and finds its applications on modern construction, marine, mining, and forestry equipment. 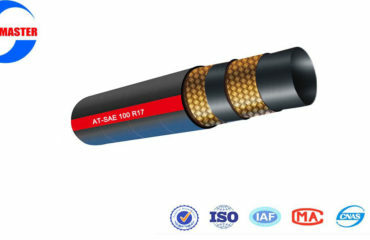 This hose is available in long lengths up to 131 feet.